Virtual Strides’ Partners Program is a way for us to help organizations host their own virtual races. These runs are in addition to our Featured Virtual Runs and our Past Virtual Runs. About this Virtual Run: Home Instruction for Parents of Preschool Youngsters (HIPPY) USA is celebrating their 30th anniversary all year long. Help support this organization by registering to run, walk, bike, or participate in the way most convenient for you! All competitors will receive a colorful medal and the knowledge that you are impacting the lives of so many children and their families. About The Charity: Home Instruction for Parents of Preschool Youngsters – known as HIPPY – partners with parents to prepare their children for success in school, particularly those most at risk because of poverty, parents’ limited education, social isolation and lack of English proficiency. HIPPY is an evidenced-based family strengthening/engagement model that works directly with parents in their homes to give them books, activities and skills needed to prepare their children for success in school and beyond. Peer home visitors deliver 30 weeks of high-quality school readiness curriculum activities and books directly to parents, who then work each day with their own three, four and five-year-old children. 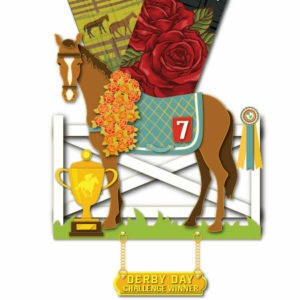 About this Virtual Run: Get out there & run with horses of majestic Kentucky Derby with the amazing medal that is an ode to last year’s Kentucky Derby & triple crown winner. Strut your stuff & celebrate your victory with your favorite hat & signature mint julep. About the Charity: Proceeds will benefit PACE Center for Girls, Marion. PACE provides academic and counseling services to middle- and high-school aged girls who are at risk for dropping out of school, emotional or behavioral disorders, and for involvement with the juvenile justice system..
About this Virtual Run: May is Mental Health Awareness Month. Lace up your sneakers and join Hope for Depression Research Foundation during the 2019 Race of Hope to Defeat Depression, including participating in the virtual race option hosted here at Virtual Strides. These events will raise awareness for the cause and 100% of funds raised will go directly to brain research that will transform the way depression is viewed, diagnosed, treated and prevented. 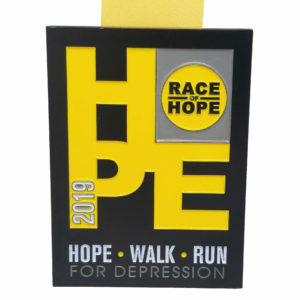 Run or walk whenever and wherever you want to support the cause and help save lives, while earning an official 2019 Race of Hope medal for yourself! 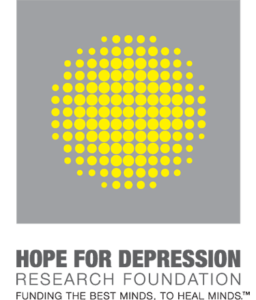 About the Charity: The mission of the Hope for Depression Research Foundation (HDRF) is to fund cutting-edge, scientific research into the origins, diagnosis, treatment and prevention of depression and its related mood and other emotional disorders – bipolar disorder, postpartum depression, post-traumatic stress syndrome, anxiety disorder and suicide. 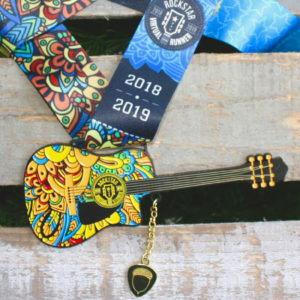 All of our Past Partner Virtual Races are SOLD OUT, but you can still check them out if you’d like to see who we have helped and the medals that were available.